Martha Ann (Fiedler) Morris passed away peacefully on Friday, November 23, 2018 at ThedaCare in Neenah, Wisconsin surrounded by family. She was born on July 4, 1931 in East Orange, New Jersey. She attended schools in Princeton, NJ, Laurens, SC, East Orange, NJ, graduated from Ripon High School in 1949 and attended Ripon College. She married her high school sweetheart, Milton H. Morris, on February 17, 1951 at Ripon Congregational Church. They were blessed with three children and she loved being a homemaker. Later, Martha was employed by the Ripon Public School System for twenty-four years as a teacher/office aide at Ripon Middle School. 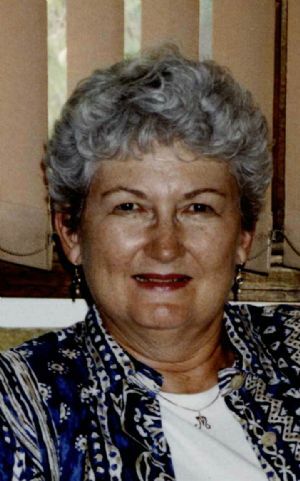 She was a longtime member of The Ripon Congregational Church, UCC and was a volunteer and associate member at The Ripon Medical Center for twenty years. She belonged to Ripon Study Club, Red Hats, and enjoyed playing cards with friends in several bridge clubs. She also enjoyed reading, knitting, music and theater. She is survived by her children, Linda (Reg) Draheim, Janet (Greg Tucker) Morris and William (Wendy) Morris; grandchildren Amy Draheim, Andrew Draheim, Dustin Rogalski, Michael (Amber) Rogalski, Sadie Rogalski and Shane Morris; and seven great-grandchildren. She is also survived by her sister Janet (Fiedler) Bottiglia and sister-in-law Joanne Adamski, as well as brothers-in law Elroy (Becky) Morris and Joe (Linda) Morris, Richard (Phyllis) Kempfer, and many nieces and nephews. Martha was preceded in death by her husband Milton H. Morris in 2012, her father L. Theodore Fiedler, her mother Mildred M. Bottiglia and stepfather, Dr. William. F. Bottiglia, as well as sisters- and brothers-in-law Phyllis Kempfer, Miriam and Jim Balda and Sylvester Adamski, Sr. and Marilyn and Arlon Stollfus. Visitation for Martha will be held on Friday, November 30, 2018, from 9 � 11:00 am at First Congregational Church, UCC, 220 Ransom St., Ripon, WI 54971. Memorial Service for Martha will be held on Friday, November 30, 2018, at 11:00 am at First Congregational Church, UCC with Reverend Stephen W. Welch officiating. A private inurnment will take place at Woodlawn Cemetery in Ripon. In lieu of flowers and gifts, memorials may be directed to the American Breast Cancer Foundation, 10400 Little Patuxent Pkwy #480, Columbia, MD, 21044, weblink.donorperfect.com/donatemobile or Green Lake Area Animal Shelter, P.O. Box 86, Green Lake, WI 54941, www.glass.org.